I’m sorry it’s Sunday but I’m glad you stopped by! I want to share some of my all time favorite Derma•e products. I’ve been using Derma•e for years, back when I could only find their Microdermabrasion at Whole Foods. These are my Derma•e Most Valuable Products. I am a long time fan of Derma•e, some products I’ve been using for years and some the I’ve just discovered. they are always adding to their extensive line of health and beauty products. They now have a whole line for people suffering from Psoriasis including shampoo and conditioner. Derma•e isn’t just a brand that I trust to deliver 100% vegan, cruelty-free, paraben-free, sulfate-free, mineral oil-free, lanolin-free, gluten-free, and GMO-free quality products, but they also send the cutest personalized packages. They take always take it a step further by sending little notes, samples, and even seeds to plant in my garden. Here are my top 5 products Derma•e products that I use on a regular basis. Some I’ve been using since their existence and others are new to my skincare routine. I will do my best to explain why these products are so amazing. 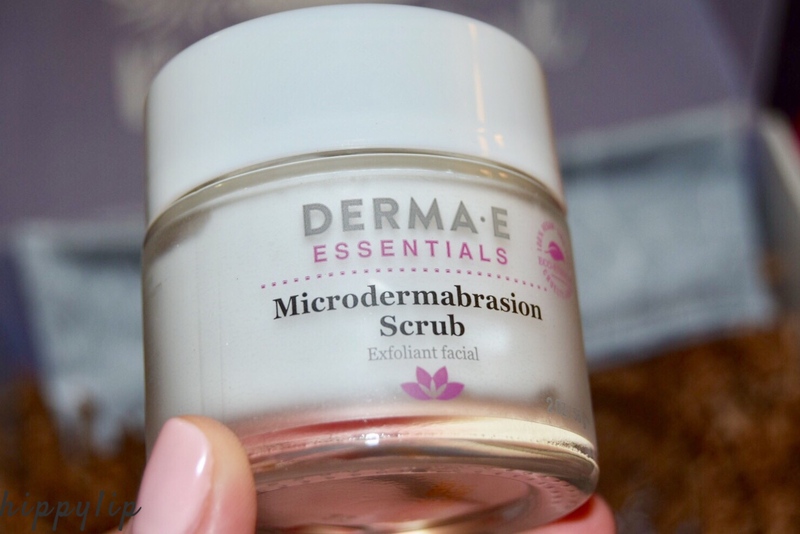 Microdermabrasion Scrub: I have been using this scrub since I found it at Whole Foods years ago. It contains very fine crystals giving it just the perfect texture without being too abrasive. It helps to diminish fine lines, wrinkles, acne scars, and even absorbs excess oils from the skin. in addition to all that lovely stuff, it re-texurizes the skin leaving my face smooth, even, and radiant. It’s the perfect texture to remove dead skin without being too abrasive. It’s been in my collection for years and I re-stock immediately. In fact, I have it in the old packaging and the new. Also, it is housed in a glass container (love it) and it’s very affordable in comparison to other facial scrubs. The retail price is $32.50 USD for 2 ounces. 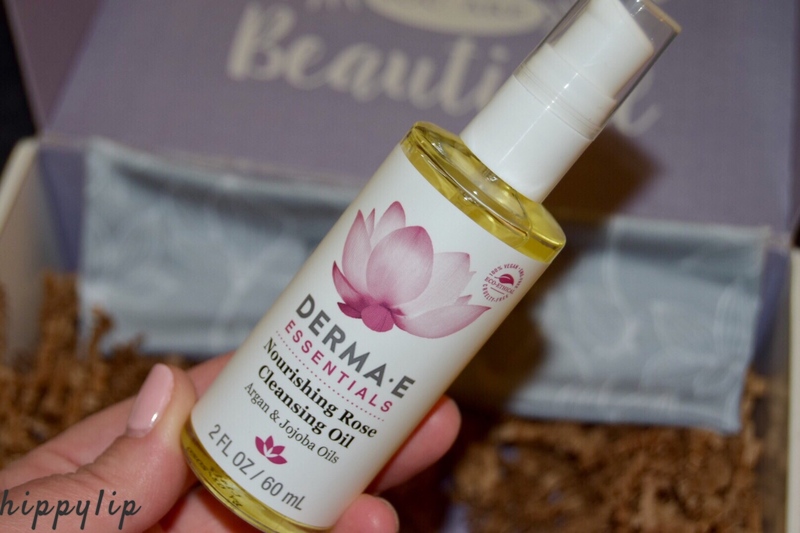 Nourishing Rose Cleansing Oil: I love using this to remove my makeup at the end of the day. The concentrated Argon oil has antioxidants and locks in hydration. Jojoba oil moisturizes, diminishes fine lines & wrinkles while promoting new cell growth. The packaging is also glass with a pump dispenser. The scent is light/fresh roses. This oil does not burn my eyes and works great for removing even the heaviest eye makeup. The best part about this cleansing oil, you don’t have to wash afterward. When I get home from a long day at work, this simple 2-step process makes it so much easier! Just massage the Rose Cleansing oil and use a warm damp cloth to wipe away the bad oils while leaving the good balancing oils behind. Most nights I don’t even use a moisturizer. The retail price is $17.99 USD for 2 ounces. 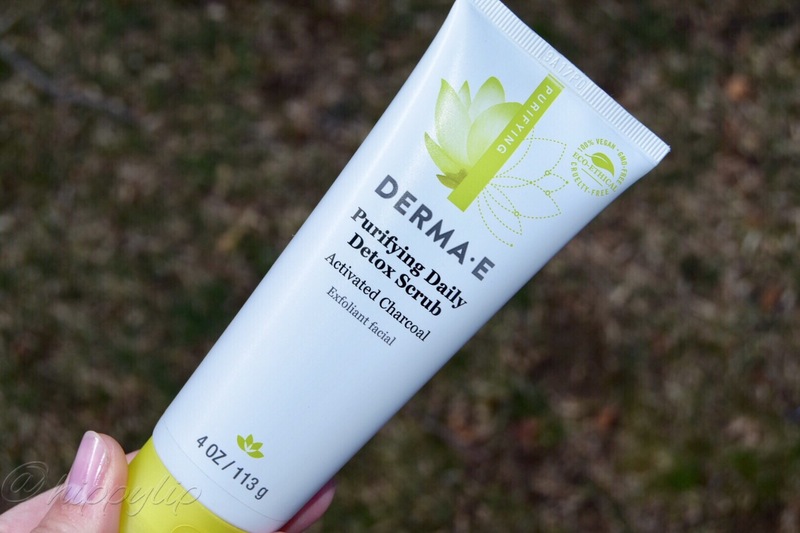 Purifying Daily Detox Scrub:A scrub gentle enough for daily use? Need I say more..No but I will give you guys the description and why I love it. The color of this reminds me of the galaxy with a metallic swirl and the texture is gritty but not like a scrub, it more dispersed. This scrub has activated charcoal to absorb toxins, Kimarine Wakame to protect against pollutants, Bladderwrack to promote hydration/nourishment, Apricot Seed Powder to gently exfoliate, and Green Tea for antioxidant defense. I keep this in my shower because it’s so refreshing with a mildly minty feeling. My skin usually feels tight and dry after activated charcoal, this one doesn’t strip my skin and leaves my face smooth. It retails for $15.50 USD for 4 ounces. 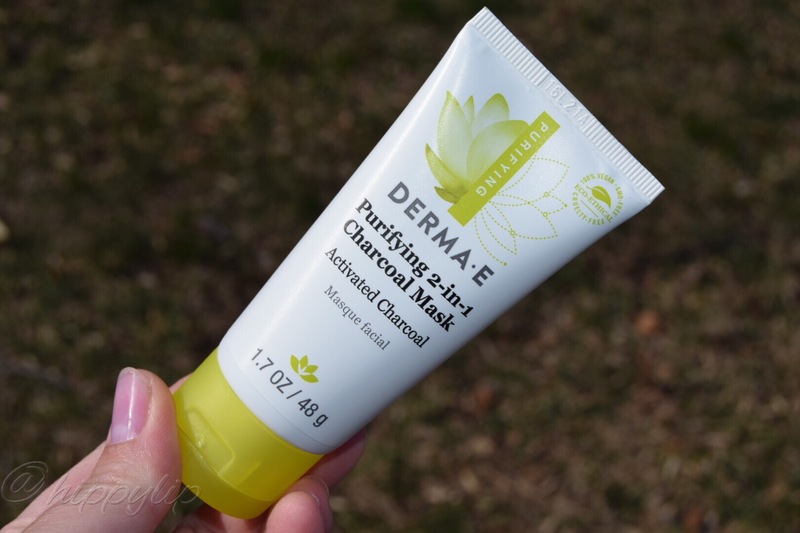 Purifying 2-in-1 Charcoal Mask: I use this in conjunction with the daily scrub as a once a week extra cleansing. It has all the same ingredients as the daily scrub with added Kaolin and Bentonite clays to absorb excess oils and impurities. It relieves the skin of congestion. 2 in 1 refers to the activated charcoal and clays This mask dries extremely fast and I love that I can focus on specific areas of oiliness. I apply this to clean/dry skin and leave on until dry. It dries extremely quick, less than 5 minutes. I wet my fingertips and massage, it literally feels like the daily scrub. I rinse and my face is clean, smooth, and soft. It retails for $19.50 USD for 1.7 ounces. Using this once a week, it lasts for a long time. 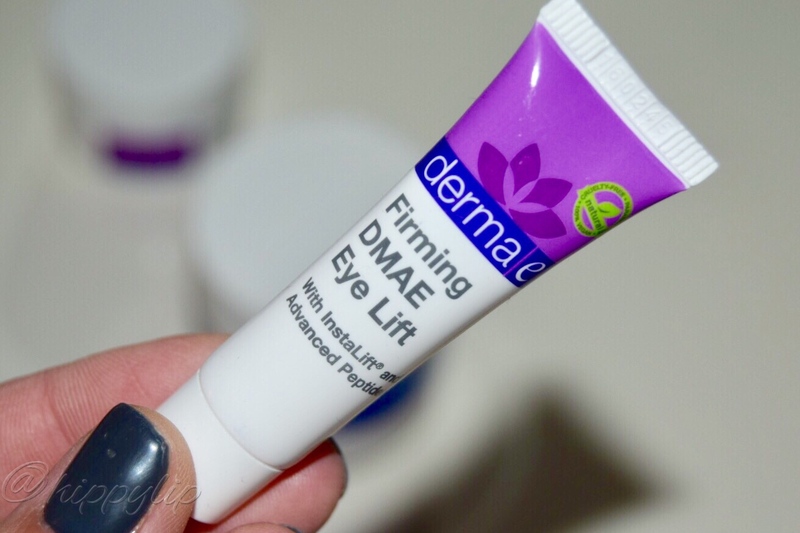 Firming DMAE Eye Lift: Using ingredients like gogi berry glycopeptides and hyaluronic acid, this pro-collagen/pro-elastin blend has diminished my fine lines, smooths skin, and demolishes puffiness. This eye cream is light enough for day and also works great overnight. The most annoying part of the beauty industry is the day/night creams and such. Can we just have one product that works anytime of the day. Another perk is that Firming DMAE Eye Lift works brilliantly under my makeup. It sinks in quick, leaving no residue to interfere with foundation. It retails for $24.95 USD for 0.5 ounces. The picture below is different because it’s the old package design. As you can see, the new design is more minimal. Scar This is the newest and most talked about product in my arsenal. Derma•e uses a unique blend of botanicals like onion bulb soften, smooth, and diminish scars. This is a clear gel that has a tingling effect that dissipates after a few minutes. I love that it doesn’t leave a sticky residue like a lot of scar treatments. I honestly forget that its there. If you’ve read previous posts, I do have several facial scars that are not acne related. I have scars deeper than acne on my torso and I’m even making progress on the deepest scars after just 2 weeks. I am so excited to see the continued results. The retail price is $19.95 USD for 2 ounces. Absolutely worth every cent!! Even though I have tried and liked so many Derma•e products, I use these on a regular basis and will continue to restock all of the above. My newest addition is the collaboration product with SunKissedAlba called the Radiant Face Glow Oil and I can’t wait to review it for you. Do you have a favorite Derma•e product? Disclosure: Three of these products were sent to me for reviewing purposes, all others were purchased by your’s truly. All opinions are mine and always 100% honest.Have a great week! Now I need to find that microdermabrasion scrub! Sounds like the kind of scrub I’d enjoy. And now super curious about the scar gel… onion bulb as an ingredient? So interesting! This was the first microdermabrasion scrub I ever used and I compare it to anything new I try. I always end up going back to Dermae. 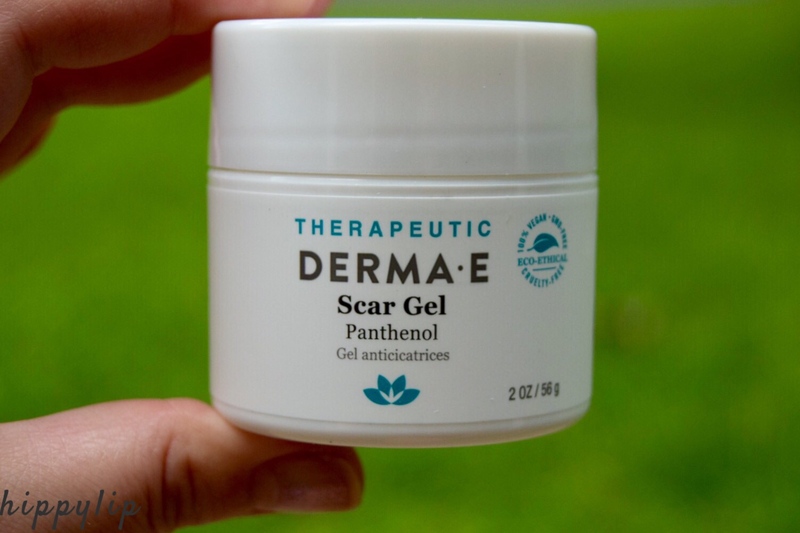 The scar gel works without having that itchy feeling. You would think onion bulb would burn right! !